Hawa is in a recovery room at Bwaila Maternity Hospital in Lilongwe. She is smiling. She is surrounded by others like her who have just undergone a simple, but life-changing surgery to repair an obstetric fistula, a condition that effects more than 2 million young women without equitable access to treatment. Just one day before, Hawa’s life had been similar to most other women living with the condition – isolated by her community, suffering the physical and emotional impact of constant incontinence, shame, social segregation and health problems typical of fistula. Hawa recovering from her fistula surgery. Before today, Hawa, 20, had been living with fistula for nearly 3 years after giving birth to her first child where complications from obstructed labor led to a c-section. Hawa was in labor for 3 days at her local health center, unable to deliver. Lack of transport from the health center to the district hospital (about 100 kilometers away) had severe consequences. Sadly, her baby was stillborn. The fistula was the result of sepsis brought on by lack of timely treatment. In addition to suffering this incredible personal loss, Hawa’s fistula condition isolated her from her community. She was abandoned by two husbands one after the other, both citing the fistula as the reason for leaving. She felt very alone. “When you have fistula, you are stigmatized” Hawa says, looking at the floor. Then one day in September, she got a text message alert from Airtel that would change her life. It was from Airtel Chipatala Cha Pa Foni (CCPF), or Health Center by Phone. CCPF is a health hotline and message service run by VillageReach in partnership with Airtel and the Malawi Ministry of Health. The text message encouraged people to call CCPF with health questions and concerns. “I didn’t know that there were any services available for this problem in the area, so when I saw the text message, I decided to call,” she says. On the other end of the line was Wellington, a CCPF hotline worker trained to triage callers over the phone and make referrals to additional services and support. After the call, Wellington and his team did some quick research and discovered that an annual fistula repair clinic was being held in the area within weeks. Given that there is just one urologist in the country that performs this service once a year in the community, Wellington and the CCPF team worked quickly to contact the sponsoring organization and request that Hawa be added to the upcoming clinic. The other women in the group had already been picked up and transferred to the pre-surgery training and education “camp.” Hawa had no way of getting there, so VillageReach arranged for her transport, utilizing the district hospital ambulance, to ensure that Hawa made it to the clinic in time. 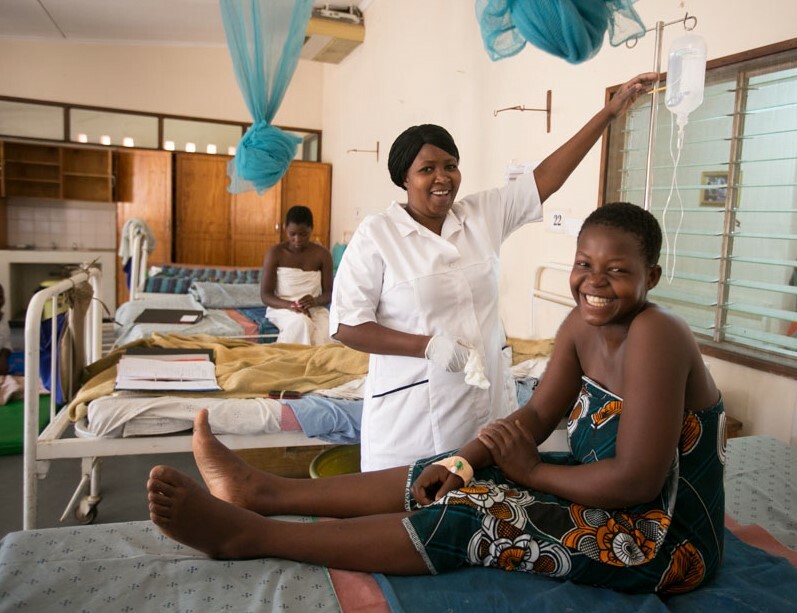 Hawa had her fistula surgery on October 14th at The Fistula Care Center in Lilongwe. Hawa expressed her gratitude for CCPF. “If people have a problem, they can call and get the information that they need. They even supported my transport and everything I needed to get here. For the people who started CCPF, I am very thankful, and the people from VillageReach continue to check in on me. Hawa is recovering well from the procedure back at her home in Machinga district, 350 miles away from the clinic. She will return at the end of December for a follow up visit. After hearing of her story, more woman have called CCPF looking for help with fistula. CCPF has connected them with the sponsoring organization, the Freedom From Fistula Foundation. Distance and lack of information are major barriers to healthcare at the last mile. Some of the women who received fistula surgery the same day as Hawa had been living with the condition for over 20 years! Most of them not knowing that this service was available, or how to access it. 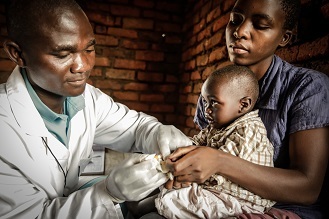 At the last mile, when health centers are often a two hour journey away, information is a life-saving, life-changing tool. Thanks to CCPF, and the many dedicated hotline workers who go above and beyond to help their callers, women like Hawa and many others now have access to the health information they need, when they need it.